results will be delivered to your inbox with specific suggestions for your improvement. You will learn strategies and tactics to improve your game on the course. The first step in learning to “Own Your Game” starts with knowing yourself. The DISCGolf Assessment will shed light on your natural and adapted behavior style. You will receive a link to take the assessment. Once completed, your report will be emailed to you with some suggestions to help you become a better player. The cost for your personalized report is $50.00. If you would like Cindy Milelr to personally debrief your report, the cost is $150. Cindy will help you learn to understand what your tendecies might be and give you personalized suggestions to help you learn to “Own Your Game”. 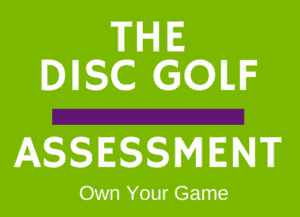 Did you know that you can assess your current Mental Game Skills and Personality for Golf? It is possible with two different online Assessments. from the frequent winners on the Tour. Both assessments produce reports with recommendations for your use. The Whole Package: Mental Skills Assessment, 8 Champion Personality Traits Assessment, and one year online mental skills coaching.